Why should anyone else be more interested and invested in your own career success, your earnings and your potential than you? They’re not. That’s your job! 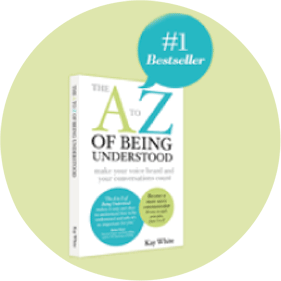 Penning my own # 1 Best-Seller – The A to Z of Being Understood in 2011, it was published, out there and being taught in a Business University in Austria within 6 months. I was teaching the principles in the book at the same time as writing it! My clients were only 2 weeks behind me. That definitely gives you momentum and focus. It’s an easy-to-follow roadmap. Pick a day and pick a place to start. Let me guide you. We buy into our beliefs so deeply we think they’re real but in fact they’re all made up and are just thoughts. In most cases we’ve inherited our thoughts and beliefs from parents, coaches, teachers, TV and media. We’ve bought into these beliefs and thoughts so deeply some people are prepared to die for them. Does that give you a sense of how powerful beliefs can be? Bob Burnham, author of 101 Reasons Why You Must Write a Book, coordinated writing this book. According to all the writers of this best-seller, that power is an illusion and is only fuelled by our thoughts-which we have the power to change in one moment. 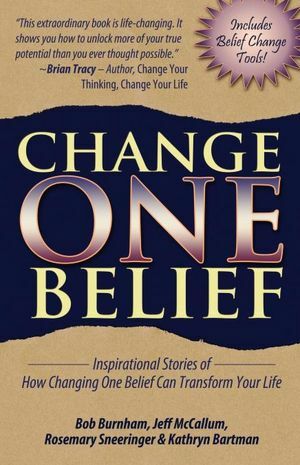 So what happens when you ‘Change One Belief’? My story’s called ‘Right Under My Nose’ about how I met my husband Snowy and how changing one belief transformed my life in that moment. 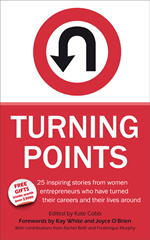 57 Successful female entrepreneurs share their insights and inspirational business stories. 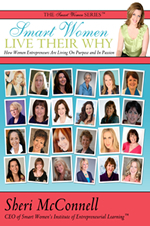 Sheri McConnell created this book so other women will be moved, inspired, and learn powerful life and business lessons that will change the way they think about themselves and their entrepreneurial pursuits. 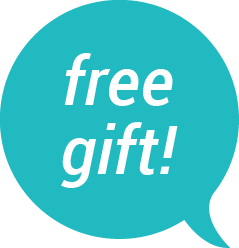 If you’re tempted to start your own business, share in and learn from some of the twists, turns and reasons ‘Why’ in this book. 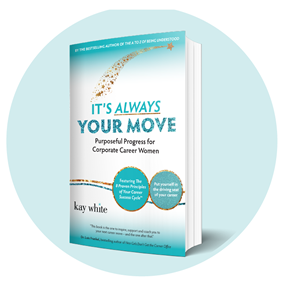 Well, that is exactly the kind of challenge that affected business woman Kate Cobb and each of the 25 incredible women included in this unique anthology faced. 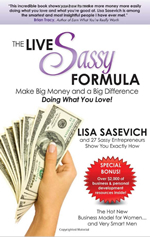 Lisa Sasevich has the winning formula to help you up-level your income and your influence. Be inspired by Lisa and her ‘Sassy Mastermind’ students who’ve learned and applied The Live Sassy Formula with astounding results.